Jikdral Tsewang Dorje (Tib. འཇིགས་བྲལ་ཚེ་དབང་རྡོ་རྗེ་, Wyl. 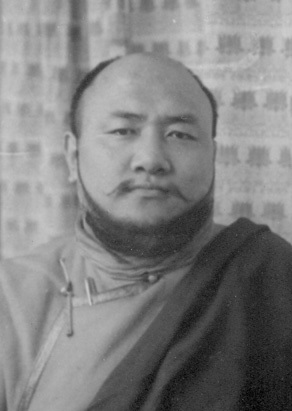 ‘jigs bral tshe dbang rdo rje) (1925-1962), the Sixth Dzogchen Pönlop Rinpoche was born in Denkhok Podrang in Water Dragon year, as brother of the Sixteenth Karmapa. He was tutored by Khenpo Thupten Nyendrak. He passed away in Rumtek Monastery at the age of 37. This page was last edited on 30 May 2018, at 22:16.